Based on the Duncan Falconer book series, Stratton began life as a vehicle for Superman himself, Henry Cavill, before the Man of Steel bowed out of the project and Dominic Cooper took over. With his performance in AMC's Preacher getting a decent reception, the change up may not have been such a bad thing in the end. In the film, Cooper plays a Special British Boat Service commando tasked with tracking down a terrorist cell. 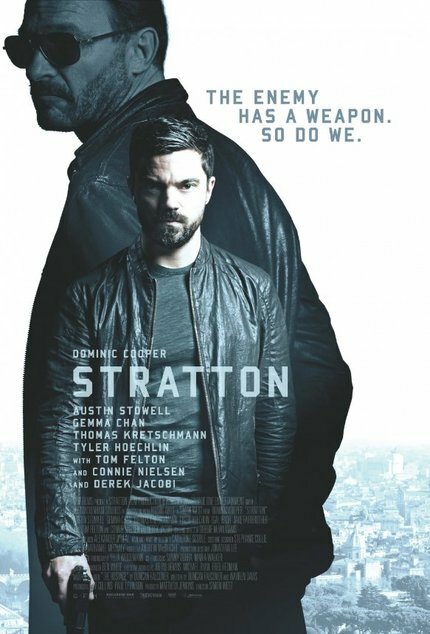 Stratton is directed by Simon West (Expendables 2, Con Air) who's no stranger to big action and the screenplay was writer by novelist Duncan Folconer. Along with Cooper, the film stars Gemma Chan, Austin Stowell, Tyler Hoechlin, Tom Felton, Thomas Kretschmann, Derek Jacobi, Connie Nielsen and Jake Fairbrother. There is no official release date for Stratton, but UK audiences can expect it to hit there first, late in 2016. I'm a sucker for crap like this. I'll watch it.